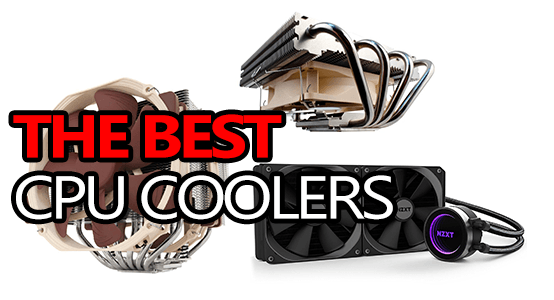 Top 5: Best CPU Coolers – Air and AIO Liquid! Picking the best CPU cooler to use in your PC can be an overwhelming task, especially with the plethora of options available. That’s where we come in! We’ve tested a lot of CPU coolers to come up with what are the absolute best choices for various use cases. Whether you’re looking for a closed loop liquid cooler, an air cooler, or you’re not quite sure, you’re going to find the one that’s right for your build on this list. When it comes to air cooling vs. liquid cooling and which is better, it often comes down to what you need, and more importantly what you want. A closed-loop liquid cooler generally costs more than an air cooler, but it’ll also delivers consistently lower temps and is often better for heavy overclocking scenarios or if you live in a particularly hot climate. Closed-loop liquid coolers are fairly safe and the chance of leaking will be almost 0 with my recommendations. Air cooling is usually going to be much cheaper than liquid cooling, but it’ll sometimes be a little louder depending on the cooler you get and if you change the fans or not. That said, there are some extremely quiet air coolers out there that are practically unnoticeable. 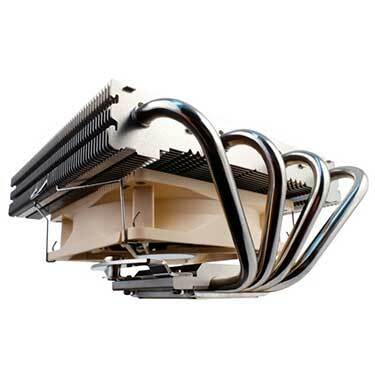 Often, a good air cooler will more than suffice for heavy overclocking just like a liquid cooler. If you’re unsure which cooler to use, ask in the comment section! 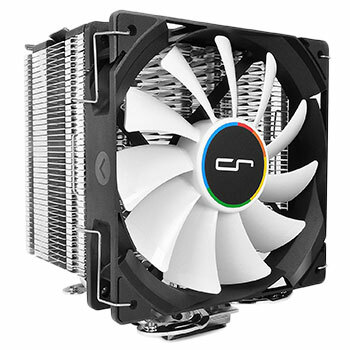 Cryorig’s 150mm H7 is probably one of the most commonly used and well known CPU coolers out there. It’s also easily the best budget CPU cooler and beats out its competition pretty much everywhere. Being a 150mm tall cooler, it’s worth noting that the H7 will fit inside pretty much any case except for the smallest mATX cases and mini-ITX. Performance-wise, the H7 is great and will serve as a very noticeable upgrade to your stock CPU cooler. It will handle overclocking no problem and won’t get excessively loud in the process. It beats out the rest of the budget-level CPU coolers for lowest temps while coming in at just a fraction more than the average price. Installation of the H7 is very straight-forward and it’s not something I can see anyone having an issue with. It’s as simple as changing out any other part and doesn’t require a lot of messing around like some other coolers do. All-in-all, Cryorig’s H7 is easily the best budget CPU cooler out there. Not only does it offer the lowest temps when compared to similarly priced coolers, but the price is absolutely incredible as well! 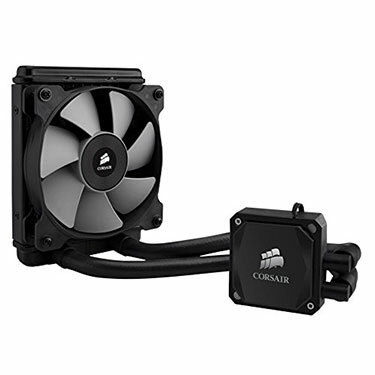 If you’re looking for a good, reliable, yet inexpensive liquid CPU cooler, Corsair’s H60 is what you should be looking at. Not only is it small in size, but it’s also small in price compared to most other liquid CPU coolers. This guy will fit basically anywhere a 120mm fan will. It’s a very versatile cooler with a wide array of possible uses. It’s great for HTPC builds or even in a compact gaming PC. The performance is really great and will easily blow your stock CPU cooler and even budget CPU coolers out of the water. Pun intended. Noise levels never get too high and it’s practically unnoticeable most of the time. If you’re in need of a compact liquid CPU cooler, don’t overlook Corsair’s H60 as one of your potential choices. Noctua’s NH-L12 is a very unique and very compact CPU cooler, it works awesome in HTPCs and very compact gaming PCs where space is very restricted. Standing at just 70mm tall, the NH-L12 is going to fit in basically any case out there. I actually don’t know of any off the top of my head that it won’t fit in. This makes it perfect for practically any size of build, whether you’re putting together a console killer or a small HTPC. That said, it’s still taller than some of the other available coolers, like the Zalman CNPS8900 Quiet. Being a Noctua cooler, it’s safe to assume that the NH-L12’s performance is going to be top-level, and it is. Over the years Noctua has developed a reputation for developing some of the absolute best CPU coolers money can buy and the NH-L12 is just another example of that expertise in action. That said, it’s not the quietest cooler which is another Noctua trait. Installation is about as easy as it gets with a quick and easy install not afforded in other compact CPU coolers. Something I really like about the NH-L12 are the small opening for your screwdriver while securing it, something I wish was a little more common among coolers like this. Overall, for a great, very compact, and super reliable CPU cooler, Noctua’s NH-L12 is definitely the top contender. However, if your case offers less than 70mm of space, check out the Zalman CNPS8900 Quiet. This was a tough choice, it came down to the NZXT Kraken X62 and Corsair’s H115i. As you can see, the Kraken came out on top as you can see, but only slightly. How did it win? Offering slightly lower temps at higher speeds while being slightly quieter. The Kraken X62 is an incredible liquid cooler if you have the space for it. It’s packing a 280mm radiator that will only fit in some cases. It’s also sporting one of the coolest (pun intended) implementations of RGB lighting I’ve seen so far. The performance of the Kraken is top level, as you would expect out of a >$150 CPU cooler. That said, it’s also one of the most expensive units on the market and there’s not a huge amount of performance lost by going for a cheaper competitor like the Corsair H115i or even the EVGA CLC 240. Installation is like most other closed-loop liquid coolers, very straight forward. Secure the radiator, mount the block, plug it in, and voila you’re good to go. 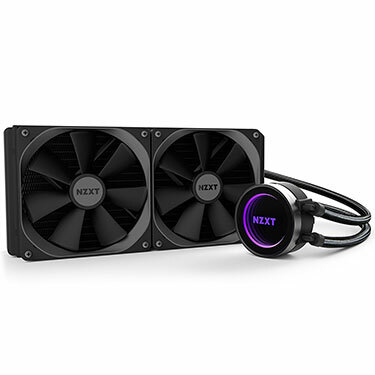 At the end of the day, if you want the absolute best closed-loop liquid cooler, look no further than NZXT’s Kraken X62 and it’s absolutely awesome RGB lighting. Noctua’s NH-D15 is a beast. There’s really no other way to put it. It’s packing a 6-pipe design that runs through 2 massive aluminum radiators with a pair of Noctua’s famous NF-A15 140mm fans in a push-pull setup to move ALL the air. No joke, when you ask the NH-D15 “how much air do you move?” it simply replies with “all of it.” And then does so. This is known as a CPU cooler that can throw punches with some of the best liquid CPU coolers under very heavy overclock scenarios, but it also comes with a price comparable to some liquid coolers as well. However, this is a great option for anyone who is still skeptical about liquid cooling but want the same performance from a more traditional air cooler. As I mentioned, the NH-D15 is a beast, it sits at 6.34″ x 5.91″ x 6.5″(LxWxH). It’s absolutely huge and is only going to fit in the most spacious cases. This is a serious consideration to make as it may or may not fit inside of your case. Make sure you have the space to support this beast! Installation is a breeze and there’s nothing to worry about here. Noctua knows how to make an intuitive install process even easier. All-in-all, if you’re looking for the absolute BEST air CPU cooler, Noctua’s NH-D15 is it, hands down. I mean, as long as you have space for it, that is. There you have it! The 5 best air and liquid CPU coolers you can get right now. I hope that this list was able to help you pick the CPU cooler that’s right for your build! I know how difficult it can be to sift through the massive amount of options available, so it was my goal to try and simplify that a bit by just providing the absolute best CPU coolers across 5 different categories. If you’re still having trouble picking out your CPU cooler, please don’t hesitate to leave a comment and I would love to help! hi! the H7 is currently 70 dollars on amazon do you have any other reccomendations? Wow, that’s crazy! I’m not sure what’s happened there… For now, I’d suggest picking it up on Newegg. Or, if you want to stick with Amazon, the Hyper 212 EVO is always a good option, but it’s a little taller than the Cryorig H7. I’m sure it’s just temporary, but thanks for letting me know all the same! What about Fractal Design R3 ?some people says it won’t fit Noctua but R3 max is about 165mm who is right? It might be a tight fit, but the Noctua NH-D15 should fit inside of the Define R3. Unfortunately, I don’t have a Define R3 on-hand to test so I, unfortunately, can’t give you a definitive answer. 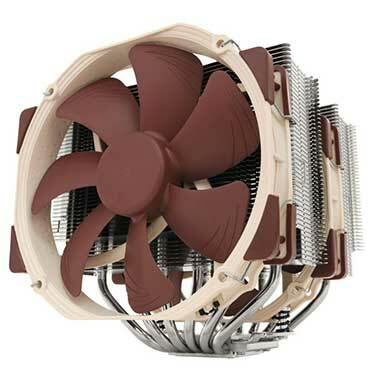 Will the noctua nh-d15 fit inside of the corsair spec 02? Unfortunately not, the Corsair Spec 02 can only fit up to 160mm coolers, the NH-D15 is 165mm.